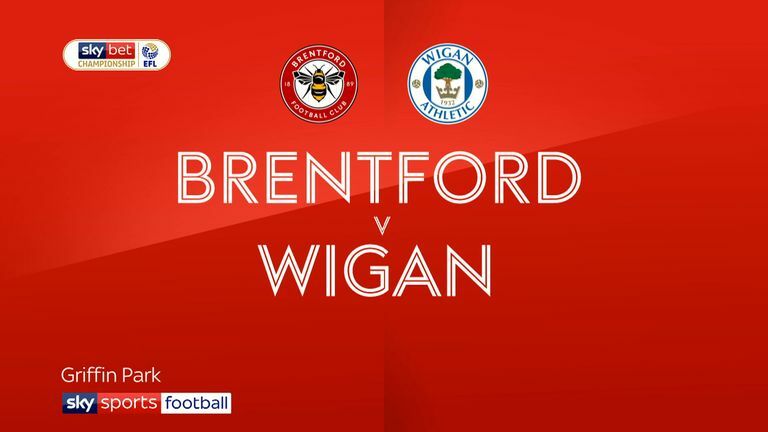 Brentford climbed to second in the Championship with a convincing 2-0 win over 10-man Wigan to make it five straight home wins. Goals in each half from Neal Maupay were enough to secure the Bees maximum points against their long-standing bogey side. Their cause was helped by the 58th-minute sending-off of Sam Morsy for a dangerous late shoulder barge to Yoann Barbet's head. The midfielder's straight red came minutes after a clash with match-winner Maupay at a corner that incensed the seven-goal Bees striker. But the Frenchman had the last laugh, scoring his second just after the hour mark having given his side the lead midway through the first half. The opener came on 24 minutes, Maupay firing home from close range at the end of a slick five-man move that left the Wigan defence chasing shadows. He was in the right place at the right time on 63 minutes when he smashed the loose ball into the roof of the net as it pinballed in the box. The striker should have given the Bees the lead inside 10 minutes when he raced onto a through-ball but delayed his shot for Latics keeper Christian Walton to make a crucial point-blank block. 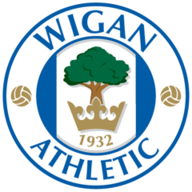 Wigan had their moments in the first half, with Nick Powell's flashing half-volley from the edge of the box forcing a full-length fingertip save from Dan Bentley after 15 minutes. Powell almost made an impact a minute later, pulling the ball back from the byline only for James Vaughan to fire just over the angle from 12 yards. The hosts took the lead midway through the first half with an incisive attack, winger Said Benrahma playing a cute one-two with Lewis Macleod before squaring for Maupay to thrash home his sixth of the season. Powell went close with a dipping, curling free-kick over the wall before the Londoners almost made it two on the half-hour when Maupay's sizzling low drive after a Romaine Sawyers through-ball brought the best out of Walton. After the break it was all Brentford and Maupay should have extended the lead in a one-on-one with Walton, who deflected his low drive wide with his legs as he dived the wrong way. The niggly game erupted on 58 minutes when Maupay backed into Morsy at the corner, sparking a response reminiscent of the famous Vinny Jones-Paul Gascoigne clash. A minute later Morsy struck Barbet in the head to earn a straight red card. 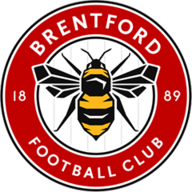 Brentford's second ended Wigan's resistance and Lewis Macleod almost made it three a minute later but his 30-yard piledriver, destined for the top corner, was brilliantly tipped wide by Walton. Callum Connolly might have given the scoreline a more positive gloss for the Latics late on but glanced his header wide from a rare foray into the home box. Dean Smith: "The hardest part is trying to stay there because you become a target but we will do what we always do and just take each game as it comes. I don't think it was the header that got him sent off. It was the follow through with his forearm which was bad. I don't think I've ever seen my players so angry. "It was a very satisfying win because Wigan are a good footballing side and I knew they would be a test for us, but from the first few minutes we were very aggressive in the way we went about them and I knew we were on it from the start. We knew they wouldn't sit back and for us to create chances we needed to be quick on the ball. And we were." Paul Cook: "I've got no complaints about the result at all. Brentford were excellent today, created chances and carved us open.